RUSH LIMBAUGH: THE OBAMA BOUNTY ON SCOTUS…….. – The Tundra Tabloids……. 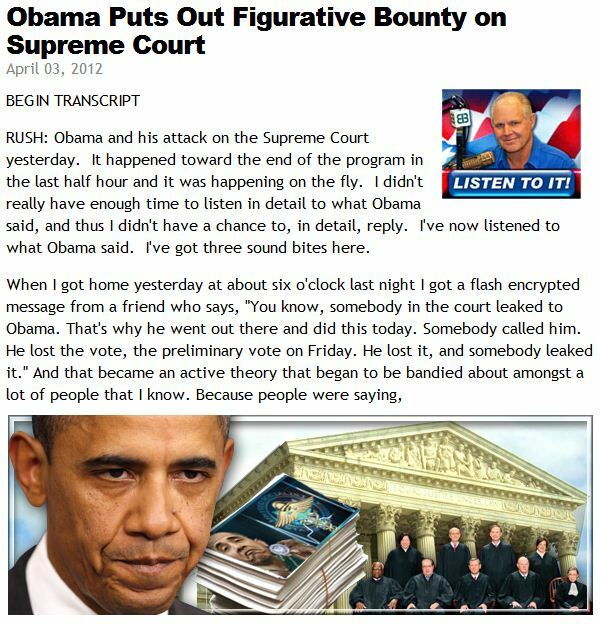 RUSH LIMBAUGH: THE OBAMA BOUNTY ON SCOTUS…….. Worse still is the thought that someone at SCOTUS, might have tipped him off, an impeachable offense. 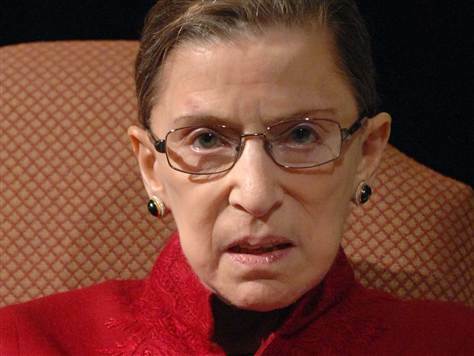 Big time supporter of the Obamanation’s socialized healthcare mandate, Justice Ruth Gingsberg, conveniently not available for comment. Previous Post Previous Post THE MOST STUPID GLOBAL WARMING STORY THIS YEAR……..
Next Post Next Post DR.ANDREW BOSTOM’S NEWEST BOOK: SHARIA VS. FREEDOM, THE LEGACY OF ISLAMIC TOTALITARIANISM……. yet another fascist rails against the “fascists” that oppose his programme.